Short term loans are nothing new, with hundreds of thousands of people taking out one form or another of short term finance in the UK each year. From payday loans to instalment loans and beyond, there is no shortage of specific products for specific purposes to choose from. Also, there exists the option of borrowing money from direct lenders in the UK (who lend the money themselves), or via a broker, who will find you the best provider based on your needs and requirements. All of these choices and more combined means that understanding short term finance is more important than ever. By understanding what each type of product and loan actually is, you will be better placed to make more informed decisions with regards to which loan is likely to be best for you. Popular categories of short term finance include payday, instalment and logbook loans, all of which, used properly and responsibly, can work to get you out of a financial rut and onto your feet. First and foremost, before even selecting which type of loan you want, you should consider whether or not you need the loan at all. You may find it preferable and easier to borrow from friends and family, which if feasible, could be better than any form of short term loan. Once you have made the decision that you will be applying for a short term loan, you should consider your options and what is out there. There are a wide range of products, some for smaller amounts of money, others for larger amounts. Furthermore, some personal loans such as logbook loans, are secured whilst many others are unsecured forms of personal finance. Payday loans have evolved greatly over the years in the UK. In the past, a payday loan was in effect a 30 day, unsecured personal loan. This meant that the loan had to be repaid within a calendar month in order for the borrower to make their repayments in a timely manner. These loans worked by the lender providing the loan to the borrower on a very short term basis. Then, the ‘clock’ would effectively start ticking on repayments and there would be a daily interest rate for the borrower to repay as well as the loan. The repayment date (of capital plus interest) was set within a few days of the borrower’s payday, allowing them to repay everything in one lump sum. For those that could afford to repay an entire loan and interest off in one go, these loans could serve to greatly help with unplanned expenses and bills in the short term. 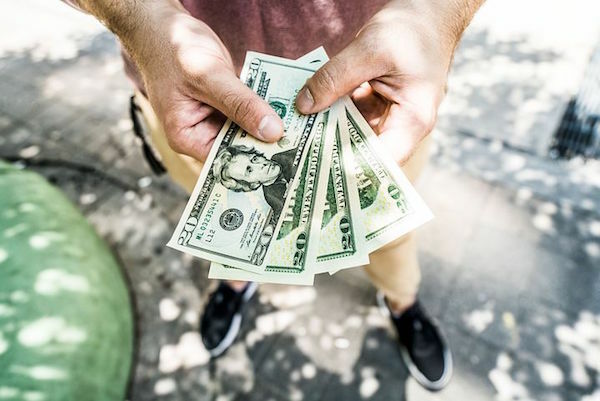 These loans work in a similar way to payday loans and generally, instalment loan providers will lend similar amounts to those lent by payday lenders. However, the major difference with these loans is that rather than having to repay a loan in one go as in cases of payday products, borrowers are able to spread their repayments over a longer period of time, making the loan more manageable. This means that each month, the borrower can repay a portion of their loan capital plus interest. There will be a pre-arranged repayment schedule with the loan lender and meeting these deadlines, allows the borrower to repay their loan in a more affordable manner over a term of usually 1-6 months, as opposed to 30 days. Secured loans tend to be able to lend larger loan amounts as there is a high value asset that is used as security, or ‘collateral’ on the loan. This means that should the borrower default on the loan, unlike in the case of unsecured loans (such as payday and instalment products), the lender can seize the asset(s) in question to make back what they are owed. However, in these cases of defaults, the borrower will sometimes still need to pay off the outstanding interest regardless.